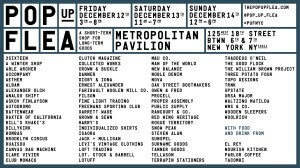 This time it’s NYC – Loft Trading will be showcasing its wares at the Pop Up Flea. 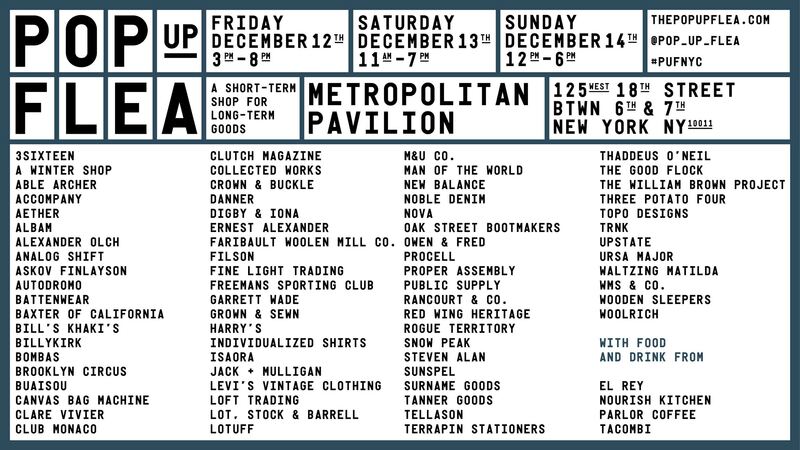 PUFNYC is the final Pop Up Flea of the calendar year 2014. This is the flagship event, taking place over the prime holiday shopping weekend of December 12th through the 14th. A short-term shop for long-term goods. What was started with a few brands in a small space in New York City has grown in both size, scale and strength. Each year the brand list grows, the creativity intensifies and the movement swells. All in the search of well-made things made by good people. Today PUF has expanded to shores both foreign and domestic. A gathering of the global menswear retail & media, PUF is the place for sale and sight. PUF shifts the focus on not only the brands, but on the people behind the brand. Offering an opportunity to purchase exclusive products from the people who make them. Meet your maker… in real life. If you are in and around New York please call by and say hello and see our amazing pieces.